Here at jebiga, we love the outdoor lifestyle. Also, as you have probably seen by now, we feature a lot of architecture, especially those structures designed to blend in with the surrounding environment, respecting the nature and maintaining the harmony between the two. Just recently, we covered a house like that, The Rainforest House in Brazil. 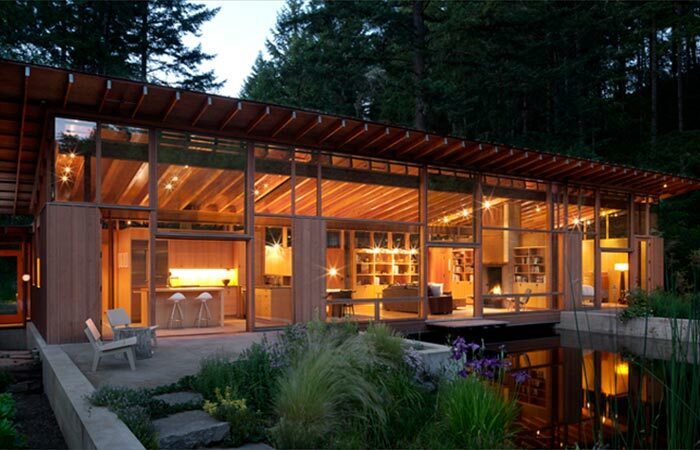 Now, we have another we would like to share with you- Newberg House. 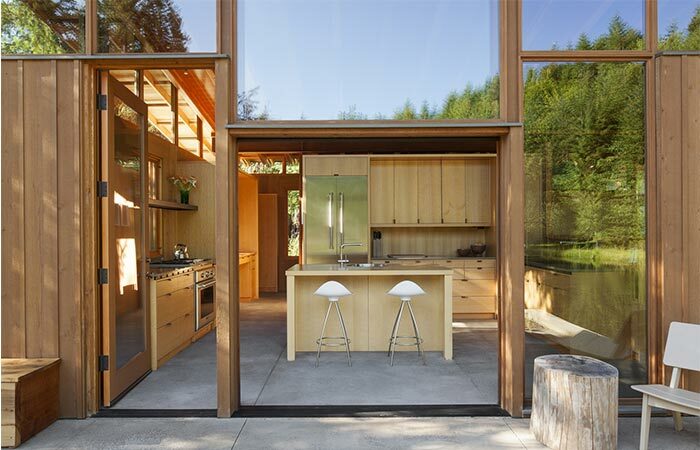 Newberg House is the work of Cutler Anderson Architects and it’s located in Oregon. The name comes from its locations since the house is built near the city of Newberg. The main reason that separates this house design from many others is that fact that it’s built over a pond, to be specific a manmade pond that had to be enlarged for this very project. 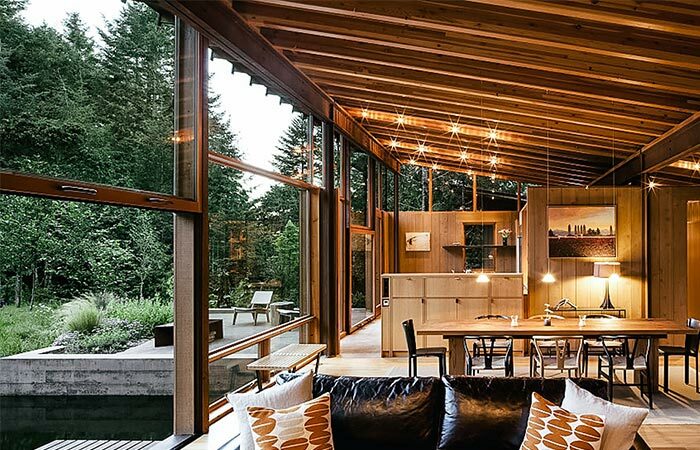 Newberg House is located in Oregon, surrounded by nature. 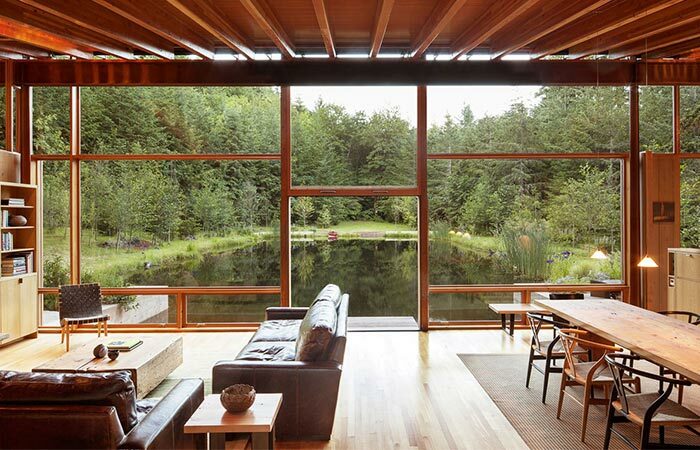 The house is built on a pond that gives it a special and magnificent view. Newberg House includes the 1,650-square-foot house and 550-square-foot guesthouse. 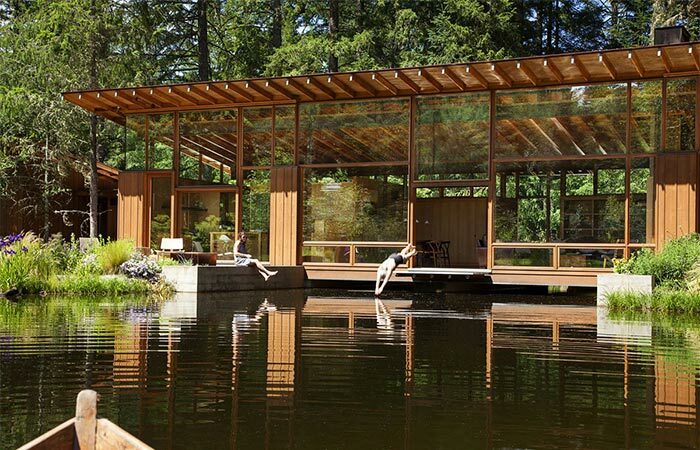 In order to explain the design behind it, the company said that “the design attempts to make the pond and residence a single entity, in which the owners can enjoy and connect with the wild creatures that come to the water.” Besides the animals that usually live in the pond, the owners can see raccoons and coyotes as well. The owners can get in touch with the wild animals surrounding the pond. The interior of the house is mostly made of wood. 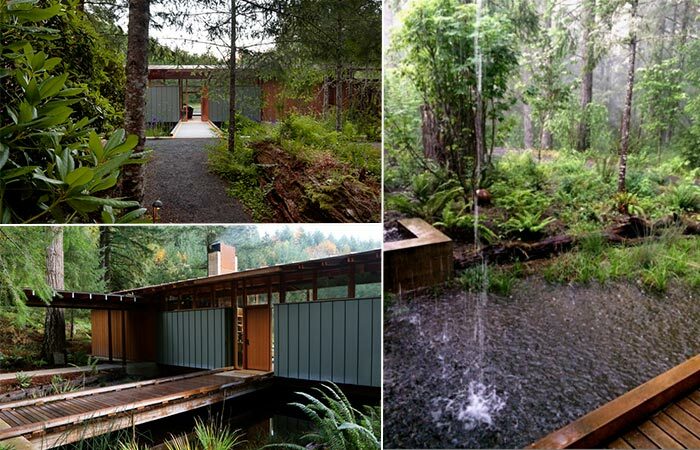 The house itself is constructed from a steel frame, the exterior wall is clad in Douglas fir, the roof is wooden, as well as most of its interior. The side that faces the pond is almost completely covered in glass and sliding doors. Some of those doors lead to the deck that has a diving board. The feature we shouldn’t forget to mention and that adds up to the sustainable design of the house is the radiant floor heating and the usage of locally sourced wood. The deck outside is a perfect place for chilling out in the evening.